Our body to fully function well should takes foods that are sufficient in nutrition and vitamins which could be taken from vegetables and even fruits. Veggies contain nutrients and dietary fibers that could normally regulate our body to work well so that we will not get sick. What nutrients can we get from vegetables and even from the fruits? Nutrients in fruits and vegetable are needed by our body to normally function. Calcium makes bones and teeth healthy. Fiber lessens risk of coronary heart disease. Folate reduces woman's risk of having a child with a brain or spinal cord defect. Iron makes blood healthy and does normal functioning of all cells. Magnesium is for healthy bones. Potassium is for healthy blood pressure. Sodium is for normal cell function. Vitamin A makes eyes and skin healthy. Vitamin C heals cuts and wounds and keeps teeth and gums healthy. And we can get these the vegetables like pechay, squash, cabbage, carrots, corn, cucumber, radish, eggplant, okra, lima beans, onions, potatoes, sweet potatoes, and many more. The PH schools annually are observing July as the month of nutrition. Malnutrition in the country, especially the school children in the remote areas or far-flung areas is alarming. PH government is spending so much money to address this nutritional problem. In order to be consistent in curbing malnutrition among school children, the month of July is officially set aside by the Department of Education (DepEd) as the nutrition month. Every year there's a theme for this celebration and this year's theme is "Pagkain ng gulay ugaliin, araw-araw itong ihain." Our school with the collaboration of the pupils' parents and the PTA officers culminated this nutrition program by holding a cooking contest among the different grades. Every grade of every section prepared its own menu, cooked them in economical and nutritious way by using its backyard-grown vegetables like malunggay, papaya, pechay, cabbage, eggplants, okra, mungo beans, among others. The whole campus of Cubay Elementary School was emitting smoke from the various cooking area. 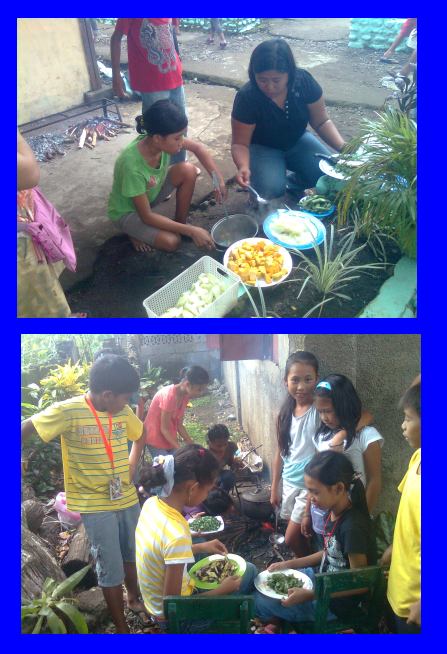 Parents were so busy readying the different needed ingredients for their menu for the day. While the pupils were also preoccupied chopping firewood, fetching water, cleaning the cooking pots. "Laswa" (local dialect for a simple, nutritious cooked vegetable), an entry of the Grade 5 class was adjudged the winner. It was a vegetable cooked in oil-less style, with a crispy (half-cooked) pieces of veggies and it was cooked in less than an hour. 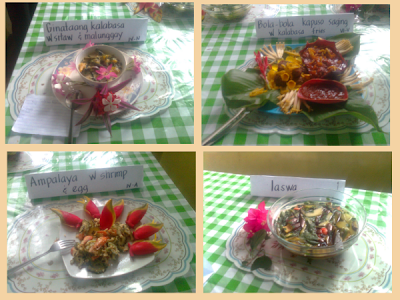 The other entries like ginataan kalabasa with sitaw and malunggay (Grade IV), bola-bola kapuso saging with kalabasa fries (Grades V and VI), Ampalaya with shrimp and egg (IV), and another "laswa" entry did not make it. The school principal [this blogger] was the chairman with his 4 teachers as members. The winner was only duly recognized. No cash prize was given. The criteria for judging are as follows palatability (taste), ingredients, preparation (menu), garnishing, and economy. 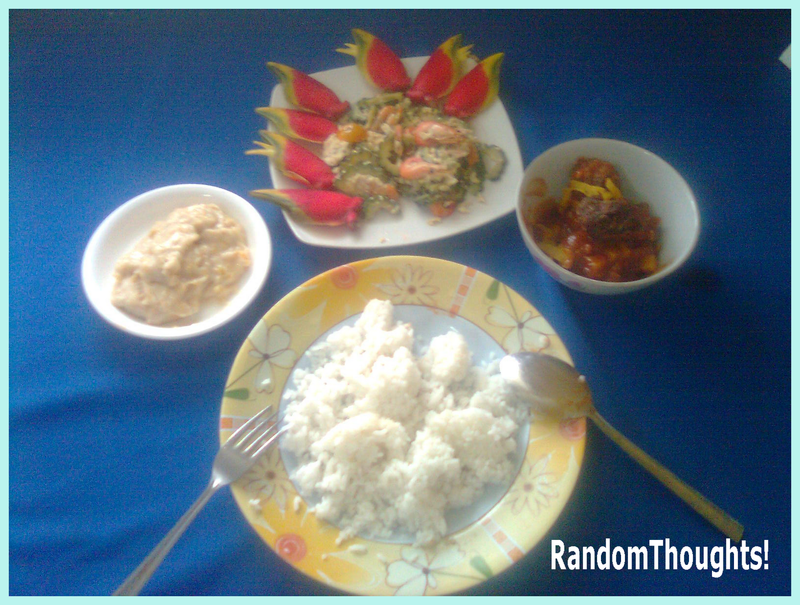 What I ate for lunch were ampalaya with shrimp and egg, bola-bola ka puso sg saging (banana's heart balls), dulce nga kalabasa (sweetened cooked squash), and a cup of rice. It's true, veggies and fruits are very much needed by the body. Sometimes, it's good to start with some fruits before a meal to build some fiber for faster digestion. i love laswa and all those vegetables you mentioned. even though i had been uprooted now to US, still we eat mostly these kind of vegetables. whenever we take vacation, our problem always is not having enough vegetables served in restaurants and we do suffer from digestion problems because of the lack of fiber. 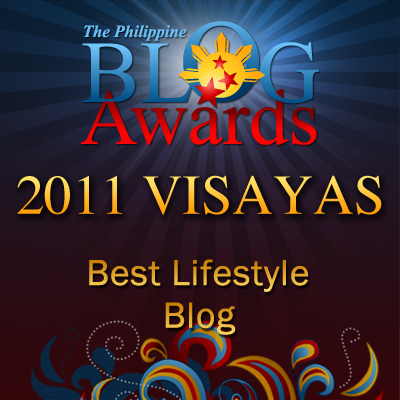 Hi Sir Gil I hope I can bring your event here in Manila. We need it badly to also promote veggies and fruits strongly to kids. Also, I learn a new word "Laswa" and for that I am truly thankful. It's commendable that our schools are promoting nutrition to our children. Kudos to our teachers and the DepEd for this! yeah, i like eating fruits, veggies, tofu, that is why i am a vegetarian as well as a vegan. TRuly, veggies and fruits are best treat we could give to our body.